My passion for medieval food has led to some interesting conversations with people over the years. I was recently invited to a friend’s birthday celebration dinner and during a conversation with another guest we realised we shared an interest in old recipes. I mentioned one of my favourite medieval recipes – a dandelion salad – and how my grandparents in Yorkshire used to favour it. Immediately, the guest’s eyes lit up and she enthused about one of her favourite old recipes from when she was a child growing up in Cumbria (England’s beautiful Lake District). “I used to love Easter Ledges Pudding” she said. I had to admit to never having heard of it before but the term had an ‘olde English’ ring to it and I was eager to hear more. Listening intently, I soon learned that Easter Ledges Pudding is a traditional Cumbrian dish cooked around the time of Lent and Easter and usually served with roast lamb. Sheep are one thing that Cumbria has plenty of, so it all sounded very plausible! The pudding’s main ingredients are wild, edible leaves such as nettle, dandelion or bistort which are boiled with oats, barley, butter, onion and eggs. All of these ingredients were available in medieval England (my medieval bread recipe is a good example of using barley), so it’s possible that Easter Ledge Pudding goes way back, even as far as the 13th century, who knows! What fascinated me most about this pudding was it’s name. Then I remembered having read about bistort when I wrote my medieval herbs page. Bistort has been eaten for many centuries and a wide variety of other vernacular names have consequently developed for it. One of them is Easter ledges. Other words for bistort include dragonwort, osterick and pudding grass! 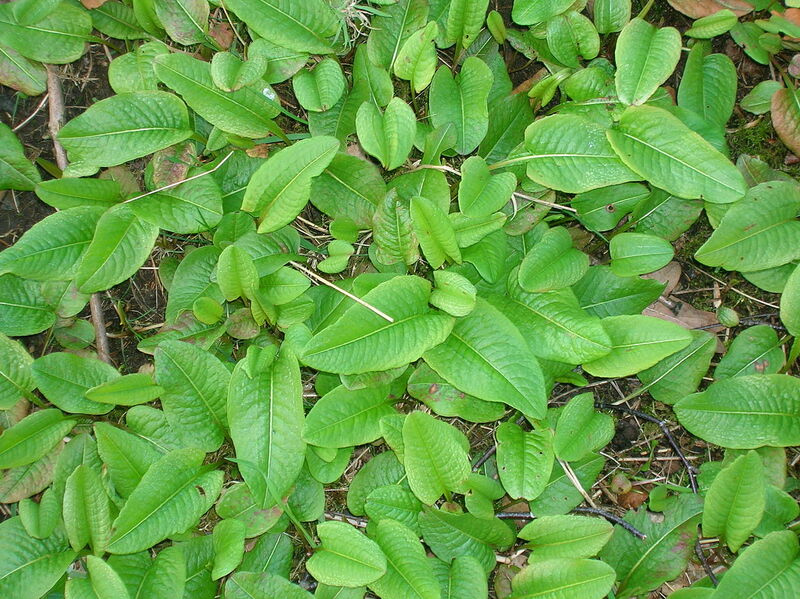 Bistort is in fact part of the dock family which is why Easter Ledge Pudding is also called Dock Pudding in some areas. The word bistort means twice twisted (bis + torta) because its rootstock is actually twisted somewhat like a letter S. The root of the bistort plant is believed to have a particular medicinal property – that of a strong astringent. So in times gone by it was used to treat cuts and wounds to stop bleeding as well as being popular for the treatment of haemorrhoids. There is an interesting botanical page which goes into more detail here. As with many subjects and particularly with plants and herbs, Wikipedia is a great resource for learning more. This Wikipedia page on bistort gives a fuller list of names by which bistort is known plus other interesting information which you might enjoy reading.